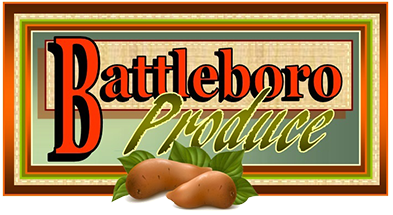 When only the best sweet potatoes will do, turn to Battleboro Produce, Inc. in Rocky Mount, North Carolina. We are a sweet potato farm passionate about growing and selling only the highest quality sweet potatoes. Primarily, we grow Covington sweet potatoes, a type commonly grown in North Carolina. 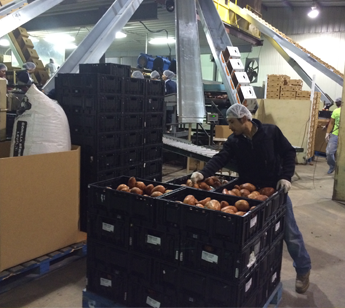 Eastern North Carolina regularly produces about half of the world's sweet potato crop. Covington sweet potatoes are very popular with customers. Since they typically grow into a nice round shape, they present very well. Also, because they grow closer to the grounds surface, it is easier to separate them from other types of sweet potatoes. Sweet potatoes are superfoods chock full of beta-carotene and other vitamins and minerals. Since the root vegetables rank low on the glycemic index, they are a better choice for diabetics. Eating them have smaller impacts on blood glucose levels. In addition to health benefits, they're also economically priced, often sold in grocery stores for as low as $0.99 per pound. We stand out from other companies because we consistently offer quality products at reasonable prices. Additionally, we are dedicated to meeting deadlines and working hard to ensure that you're able to get sweet potatoes whenever you need them. We never miss shipping deadlines with our customers, and always pack our products according to U.S. Department of Agriculture specifications. Orders are usually delivered within two days, and each package is packed to order. We guarantee freshness and wait to pack our vegetables until an order is placed. Additionally, we offer product warranties in case something happens during the shipping process.